Thank you to Judy’s Village Flowers for donating beautiful Roses for our Residents. 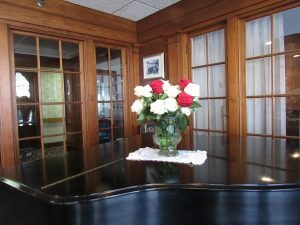 The Residents made beautiful arrangements for the Dining Room tables and for their rooms and common areas of the house. What a beautiful way to show Spring is coming!